Hebrews 1:14 and 2:1 KJV say Are they [angels] not all ministering spirits, sent forth to minister for them who shall be heirs of salvation? Therefore we ought to give the more earnest heed to the things which we have heard, lest at any time we should let them slip. 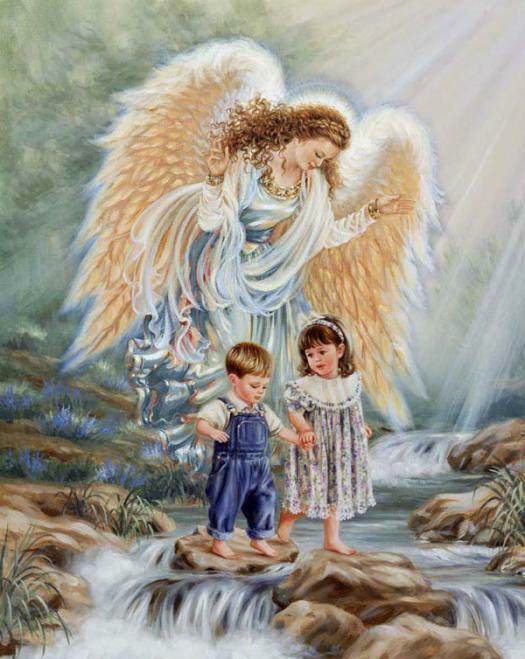 Did you ever wonder about your guardian angel? I always thought that each person had one angel, assigned to them at birth, that followed them throughout life. One angel to protect and guard. But as I got older, I began to wonder how one angel could always protect, from all sides. I fully believed that we have at least one angel. The startling thing I realize now is that we have more, many more. It started when I heard Charles Capps talk about each person having at least 20,000 angels. I heard another preacher say he thought each person had at least 6,000 angels. So that’s a number somewhere 6,000 and 20,000 per person. Wow. Before I had heard the preacher comment about the 6,000 and after I had heard Charles Capps I had a dream. I was standing in a room. I saw into the other dimension, the dimension where the angels tread. I saw many angels. The room was full of them. One in particular was about my height and stood very close to me. Others were different sizes, all larger. The one standing next to me explained it. This angel said that he was the one that talked to me, and relayed messages. There was a layer surrounding me and the one angel. They were larger. And another layer outside them, larger still. And so on. They went out and up. The highest, most outer layer held angels that were the largest, warrior angels. The angel next to me said that each layer is meant as protection and the angel next to me was the prompter. The angel said that if there were demonic forces and/or other things coming at me then the larger angels fought them off. The larger angels will tell the prompter angel to get me to say the word of God. Each time I say the Word, it looses the power of the angels to fight off the enemy. I watched this. A demon or demons would try to pounce on me and the larger angels would shout to the prompter angel to make me say God’s word. The prompter angel would then prompt me to say God’s word, something like no weapon formed against me will prosper in the name of Jesus. I asked the prompter angel about all of this. The angel told me that each person indeed has thousands of angels. And they go with us wherever we go. As long as we walk in the Spirit, speaking God’s word, the angels are free and loose to fulfill God’s will. I asked about people who didn’t believe, atheist and such. I was shown a person who didn’t believe in Jesus. Their angles were bound. Demons came around the unbeliever and the angels couldn’t do a thing about it. Because speaking God’s word is what frees them and strengthens them. The Bible certainly supports the existence of angels. 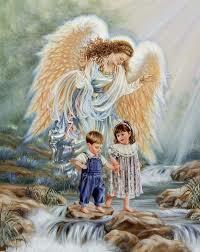 Angels appear throughout the Bible, bringing news, ministering, helping. Hebrews 1:14 and 2:1 KJV say Are they [angels] not all ministering spirits, sent forth to minister for them who shall be heirs of salvation? Therefore we ought to give the more earnest heed to the things which we have heard, lest at any time we should let them slip. The word is brackets I put there for clarification. So angels are sent to minister to the heirs of salvation. We should choose our words carefully. The angels listen and report to God everything we say. Unto whom it was revealed, that not unto themselves, but unto us they did minister the things, which are now reported unto you by them that have preached the gospel unto you with the Holy Ghost sent down from heaven; which things the angels desire to look into. 1 Peter 1:12 KJV Also, Psalm 103:20 KJV says: Bless the Lord, ye his angels, that excel in strength, that do his commandments, hearkening unto the voice of his word. That proves that they listen for God’s word, and obey.